A Carnot engine works between temperature T1 and T2 . 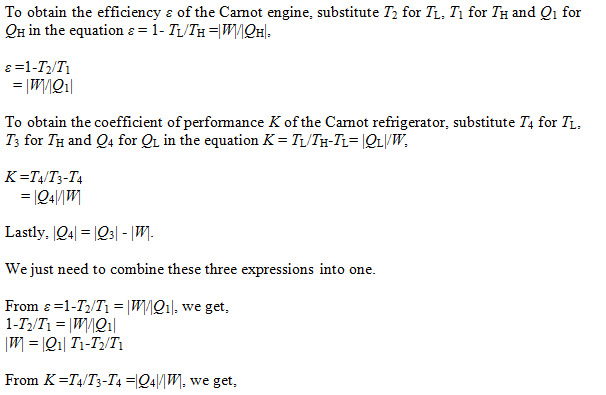 it drives a Carnot refrigerator    that works between two different temperature T3 and T4 (see Fig. 24-21). Find the ratio |Q3|/|Q1| in terms of the four temperature.